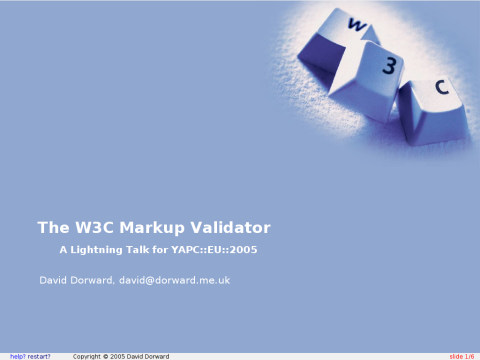 This lightning talk was given in just under five minutes at YAPC::EU::2005 on Friday 2nd September 2005. It skimmed over everything very, very quickly (only natural as it was a lightning talk). I'm considering proposing a longer talk on the subject for YAPC next year.